On a December night in 2004, a 911 operator in Nodaway County, Missouri, received a frantic call from a woman who'd found her pregnant 23-year-old daughter in a pool of blood on the living room floor. Most shocking of all, the dying woman's unborn baby had been viciously ripped from her womb. Across the border in Melvern, Kansas, Lisa Montgomery showed off a beautiful newborn she proudly claimed as her own. While some shared her excitement, others harbored suspicions. Meanwhile televisions across the nation broadcast the first Amber Alert for an unborn child. Newly updated with the latest surprising developments, Murder in the Heartland goes behind the scenes of two picture-perfect American towns forever changed by one horrifying act of violence. 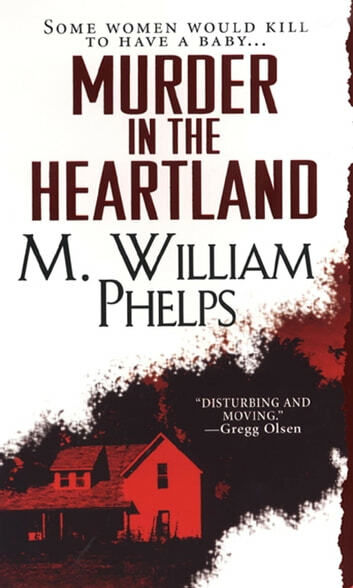 With exclusive access to key witnesses, family members, and potential victims who narrowly escaped a similar gruesome fate, M. William Phelps tells a classic American tale of unthinkable murder and the quest for justice.